Download Mobile Music Player App UI PSD. This is a free music player ui psd which has an modern design that can be use for any music player application. It has a clean and simple design of a music player application which is suitable for both iOS or Android. 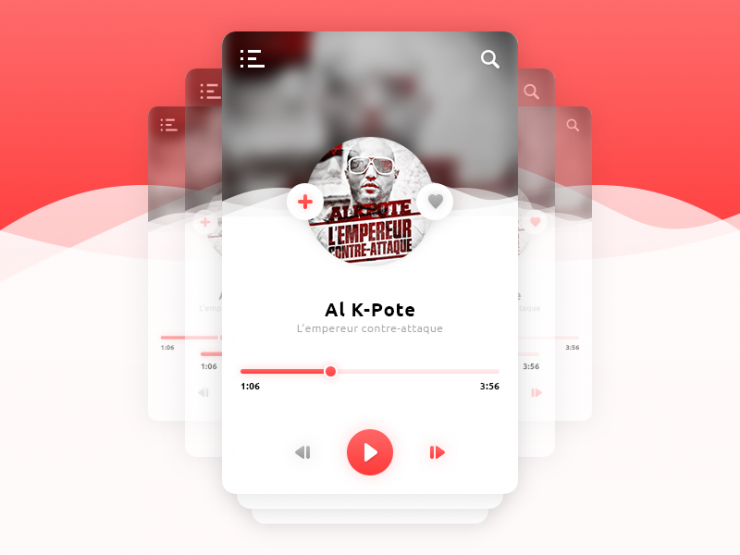 A free music player app ui with modern interface can be use as music widget or even a part of your web or mobile applications. The color schemed used in this freebie looks great and work really well for this type of app. So Download this simple yet useful Mobile Music Player App UI PSD file for your next music application. Hope you like it. Enjoy!